Steel is used extensively in the products, infrastructure, vehicles and buildings all around us. In architecture, the design, detailing and general understanding of its properties often fall short of its full potential. In this assignment we learned about steel as a construction material, it's basic properties and associated fabrication processes through research, lectures/shop tours, and hands-on making exercises. I made a 3D matrix of steel which was my first step towards learning steel fabrication. I used 3/16" thick 1" square steel tube section for making the 3D matrix. Steel tubes were cut using the horizontal band saw at 45 degree angle on one side. six similar pieces were cut to form a 3D assembly. Parts were welded together as per the design by using TIG weld. The one on the left is for steel. The ball on the right is for AC aluminum welding. I'm not sure what the one in the middle is for. I think it is just broken. 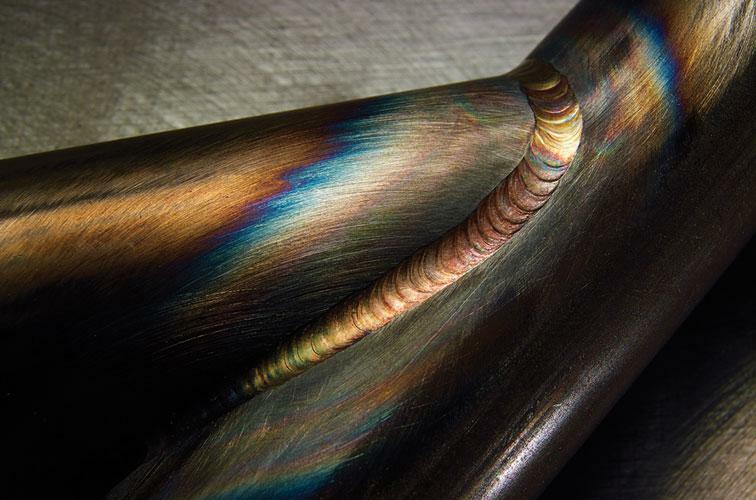 Some prep before you weld wouldn't kill you to do either. Put a little chamfer on the edges with an angle grinder so your bead has a place to lay, and wipe the metal off with acetone before you weld it. Less heat, less rod, and more travel. But something close to it wouldn't hurt. No, the tip in the middle is an improved version of the left one. If you flatten the point a bit, the arc is more stable when using DC. In my experience getting a flat tip like that means you got stuck on the work, and broke the sharp tip off. But I have a HF start welder, so it might be something for scratch starting? I imagine scratch starters are never going to have sharp tips. Because in order to start they always have to touch the work. Straight ground electrodes always have stable arcs. That's why you're supposed to grind the tip straight.